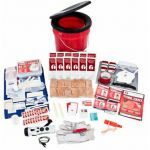 These bucket survival kits give you all the emergency items you may need during an unexpected situation. 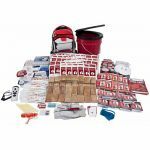 By providing food, water, light, communication, shelter, tools and hygiene items, you'll be well prepared to be self-reliant for a short duration disaster. 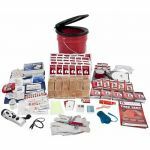 Having everything fit in a bucket, all your survival items will be in one place ready to use when needed. 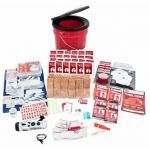 Plus, you'll have a convenient place to use the bathroom along with the chemicals you need to maintain sanitary conditions.